STARKVILLE, Miss. – A tiny pest is making a huge impact on crape myrtles across the state, threatening to turn this go-to plant into something that gardeners avoid. Crape myrtle bark scale, or CMBS, was first detected in the state in early 2015. It was found in Ocean Springs in Jackson County, and then soon after in Olive Branch and Southaven in DeSoto County. It has since been spotted in several places around the state, concentrated in six hot spots: Natchez, Oxford, Senatobia, coastal counties, the Jackson area and the Southaven/Memphis area. 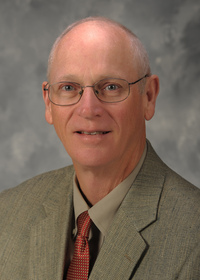 Blake Layton, an entomologist with the Mississippi State University Extension Service, said this serious, nonnative pest could easily spread to other areas. CMBS are insects that are big enough to be seen. The presence of these pests is marked by heavy accumulations of black, sooty mold and patches of white, felt-like material on the trunk, limbs or twigs. CMBS infestations produce sticky honeydew, which supports the growth of fungi that cause the black mold. The pest is native to China. It was first found in Texas in 2004 and has since spread east to Louisiana, Arkansas, Tennessee, Mississippi and Alabama. Layton urges homeowners, landscapers, groundskeepers and anyone else to look for evidence of this pest on crape myrtles in their areas. The risk for spreading CMBS also comes as the pest is being managed. Ty Jones, an Extension agent in Madison County, has worked with Layton to address the problem in one particular hot spot: a subdivision that had landscaped its public areas with crape myrtles infested with the pest. Joy Anderson, Extension director in DeSoto County, said the problem is compounded in her urban area by large spaces planted only in crape myrtles. Layton said some insecticides are very effective against CMBS. They can easily be applied once a year as a drench poured into the soil around the base of the infected tree. Systemic insecticides include dinotefuran and imidacloprid. It takes a month or longer for results to appear, as the chemical must spread through the plant to affect the pests. 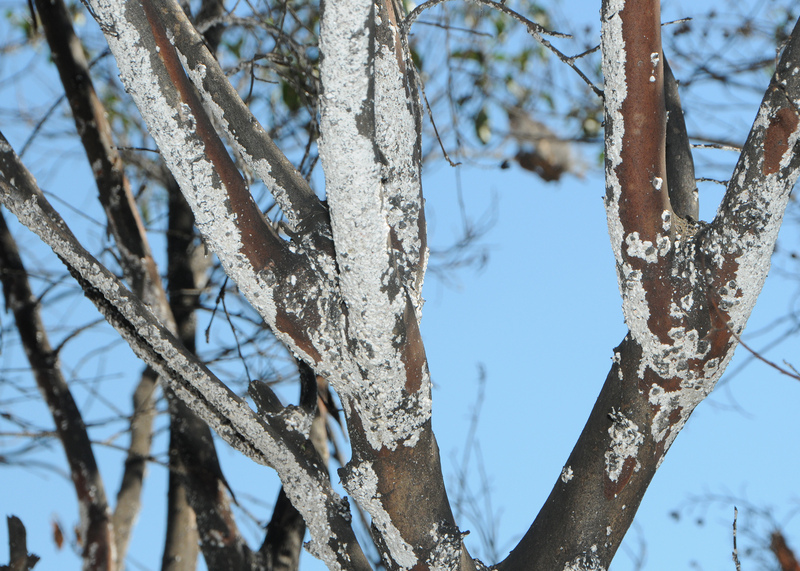 Learn more about the identification and treatment of this pest in Extension Publication 2938, “Crape Myrtle Bark Scale Identification and Control.” Search for P2938 at http://extension.msstate.edu/publications.